A checklist, also called checklists, check sheets, checklists, checklists or check sheets, is a predefined list of tasks that are used for different purposes, although to control the fulfilment of tasks and / or requirements or, to collect data systematically and in an orderly manner. Checklists are usually predefined since the list of tasks does not change, it remains fixed every time you use the checklist. A key element to create a good checklist is to make a complete but light list. Why are Checklists so Powerful? 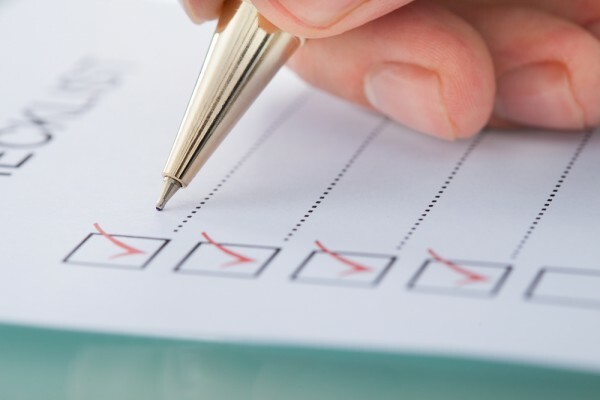 Checklists are a great tool to contribute to productivity and efficiency in a company because they establish the minimum steps necessary to follow and make them explicit. Checklists help avoid mistakes by making sure that the worker or inspector does not forget anything important. Consequently, the concentration of the worker on the task is greater since he/she is following a systematic list of activities and does not have to worry about anything else. Therefore, checklists not only offer the possibility of verifying that the tasks have been carried out, but also contribute to the worker's performance. What are Checklists used for? In general, they are used to check whether the necessary steps have been followed in order to achieve a specific result. MoreApp gives you the possibility to create checklists in a very simple way with our Form Generator. If you want to start a checklist, register now on our website and follow the steps of the tutorial on how to create a checklist. Good luck with your new Checklist!